On page website optimisation is the process of fine-tuning your webpage copy to rank effectively in search engines for terms relevant to your niche market. SEO is not something you do one time and then step aside. Website optimisation is an ongoing process requiring testing, maintenance, monitoring and fine tuning. Here are four simple ways that you can optimise your website for increased SEO performance. Type some of the keywords relevant to your niche into search engines and take note of the websites that appear on the first page. Using online tools such as semrush.com and moz.com you will be able to run a check on your competitors’ websites to see which keyword phrases they are using to achieve page #1 rankings and how much monthly traffic they attract from these terms. See where your website ranks for local and national search terms. Make a list of keyword phrases that relate specifically to your niche. Also add to the list key phrases that you would type into search engines to find your own business. Ask your existing customers what they search for when looking online for your products and services. Keyword analysis is about understanding the competitive value of search terms and how to incorporate them into your ranking strategy. The first thing that you will be looking at when analysing these keyword phrases is how many other websites are competing for those terms too. Note in Google (or Google.com.au) - for example - how many results are returned for your search query. The lower this number – the easier it will be to rank. Many city based and suburb based search terms have lower search volumes, and may often yield more targeted results. Make use of the free adwords tool ‘keyword planner’ – and determine how many people are actually searching for that term per month. Your ideal keyword phrases should have a decent amount of people searching the phrases each month, with a low number of websites competing for the term. This involves a little work, but when you do find the right balance in a keyword it can help to skyrocket your pages in the search standings. Once you have developed a quality list of keywords that have reasonable search volume and lower competition, it is time to implement them on your website. Begin by placing these keyword phrases into the titles of your web pages. Ensure that your web page content is relevant to that specific search term. It is recommended to provide 500+ words of highly targeted content per web page. This helps search engine spiders identify your website as being relevant to your niche. The meta information of your website will also need to incorporate those keyword phrases in order to help people searching to identify your pages more easily. If you are not familiar with placing those keywords in your website copy and throughout your website, a professional local design or SEO company will be able to assist. Adding the right mix of relevant keywords to your pages is the best way to show the search engines that your content is relevant to your niche and associated searches. Installing an analytics program (such as Google analytics) will enable you to see which keywords are bringing in your website’s traffic. These programs help you to identify what pages are working better than others, as well as how many people find your website by way of those new keyword phrases. After analysing the information, make small changes and see if the results improve. These programs give you up to the hour information, so you can quickly see when a new technique is working or not very easily. Is Your Website Performing Effectively in Search Engines? Roundhouse has been helping businesses find ways to reach target audiences more effectively since 2001. Our team of fully qualified experts can help you expand your customer base online and offline. Book an obligation free consultation with a qualified online marketer today. Brand marketing is a simple statement. It involves two elements : branding and marketing. Branding is the means by which your brand is known and promoted. Marketing is the sum of strategies and tactics by which your message is broadcast. Brand marketing online is a challenge. With over two billion internet users worldwide, marketers need to find ways to 'cut through the clutter' and make their brands shine in a crowded marketplace. The process of brand marketing is made easier when it begin with a quality brand design. Ensure your brand design is memorable, relevant to your target audience and highly aligned to your company values. A strong brand will create interest in your company, boost website visitors and enhance conversions. Your brand design will effectively position your company within your industry group and should inspire trust and motivate action. There are many ways of marketing your brand online. 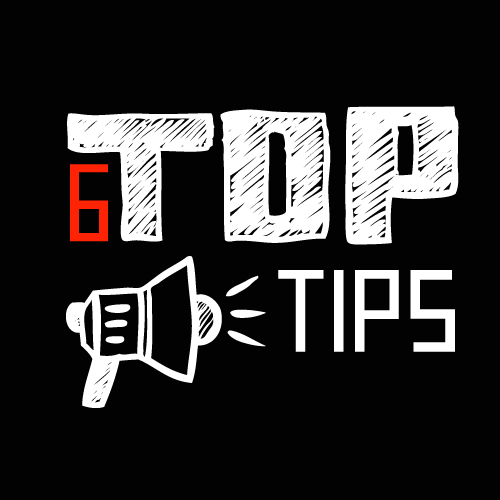 Here are our best 6 tips to get a positive result. Your target audience is the niche group of people who are most likely to engage with your brand. Defining your target audience is a key element of your marketing strategy. A well defined target is always easier to 'hit'. Reach out to your prospects - become familiar with their types of communities, geographic scale and locality online. Deliver quality content for your brand with a company blog. Publish branded content regularly and provide well written information your audience is interested in. This content can be article based, video based (such as a testimonial or product demonstration video) or image based (an infographic for example). Make sure your content is current, relevant to your prospects and consistently 'on brand'. Quality content will improve seo organically (which is the best way), increase traffic to your website and generate inquiries and sales. View your company blog as your 'brand channel'. 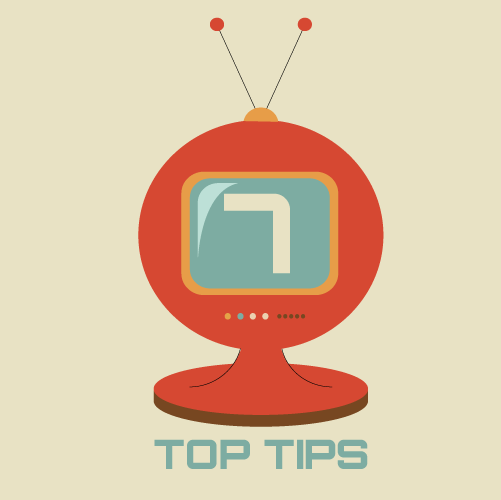 Like a TV or radio station, broadcast your brand consistently (on a daily basis if possible) with useful and relevant content. Despite the vast extent of the internet, genuinely good content published daily is still a rarity. Offer value when marketing your brand and extending your reach. It is often said that brand marketing is not a sprint - it is a marathon. The best results come from targeted efforts maintained regularly. When you have created quality, branded content you need to ensure that your target audience engages with it. Leverage social media to increase brand marketing effectiveness. Share your content with your twitter followers, post links to your posts on your facebook and google+ profiles. Social signals are closely correlated with SEO rankings following Google algorithm updates last year. Likes, comments, retweets and shares will increase your readership and boost SEO simultaneously. Maintain your brand reputation with valuable content. In the race to develop content ensure that quality standards are met and that your brand is well represented. Invest time and build quality before quantity. High quality brand driven content will bring consistent rewards over the long term. Always market your brand with the intention to inform rather than sell. A genuine desire to help and support the success of others will assist your marketing efforts. Build your brand marketing within the context of providing relevant and targeted information. At the centre of any brand marketing strategy remains the brand itself. Developing your brand and marketing it is a key promotional activity. Take the time to know your target audience and find innovative ways to reach them online. Monitor your progress with web analytics. Do this, and you will be on your way with an effective brand marketing campaign. Do you need Brand Marketing? 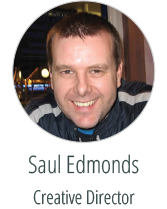 He is an expert on Brand, Website and App Development. He has worked with clients across all industry groups - including startups, small business, government and entrepreneurs - on projects of all sizes and budgets. See our portfolio here. Today, every business has a web presence. Search Engine Optimisation or SEO is a term most business owners are familiar with. SEO aims to increase your website's visibility and by doing so grow your site visitors, leads and sales. To be effective, SEO must be tightly integrated with your business goals and target market. Professional SEO services are utilised by many business owners to maximise their website's potential. Such services usually cost between several hundreds of dollars to thousands of dollars per month, depending on your provider and budget. Many business owners know very little about SEO and prefer to leave it to the experts - or leave it undone. With a little time investment, business owners can learn the basics of SEO and apply the principles to their own site for FREE. The basics of SEO are easy to understand and can be implemented quickly, particularly if you have a CMS or Content Management System. Business owners can take advantage of simple optimisation tips and improve their search performance - without extra expense. In the world of SEO - a little change can go a surprisingly long way. Remember, SEO is a long term investment. Our top tips below will set the foundations for your website's ongoing success on google and other search engines. he page title is the title or keyword phrase that is located at the very top of each web page. Why is page title important? ike a book title, the page title says what the page is about. When scanning your website, Google reads page titles first. Page titles go a long way in determining how Google will use your website content in relation to organic search queries. Getting the 'right' title is important. A clear, concise, well written page title can increase your search engine rankings. Meta descriptions, like page titles, are used to describe the content of your web page. In 2009, Google stated that meta descriptions are no longer used in the calculation of search ranking factors. What is important however, is that search engines still show meta descriptions in search results. Meta descriptions should be carefully worded to boost click-throughs and traffic to your website. Take the time to get them right. he best meta descriptions consist of compelling, quality 'advertising style' text. Promote your business. Write phrases that inspire people to click. Craft a description that includes important keywords. Limit your description to around 150 characters. How do social signals influence search rankings? Social signals are taken as an indication of your brand's online visibility. More signals indicate increasing visitors to your website and a wider brand profile with greater reach. he following are some simple steps to grow your social signals - both onsite and offsite. inks are still the single most important ranking factor. Following recent Google algorithm updates such as Panda and Penguin - it is important that links are 'genuine' and hand built. Link building is a long term strategy. It takes time to build quality links. Quality links increase your visibility to your customers and prospects and should be developed from this point of view. Where to begin link building? ocal link building is a great place to start. List your website in local online directories. Ask customers to review your products and services online. Ask your customers if you can supply a testimonial for use on their website. Take the time to implement these 4 'do it yourself' SEO actions, and see your search engine rankings significantly improve. Roundhouse is a full service creative agency located on the sunny Gold Coast Australia. We provide an complete range of creative services to build your brand online. From web design to brand development, sound design and print services : we can increase your visibility both online and offline. We also offer a fully customised seo service - which is custom designed for your business and your budget. Do you need search engine optimisation assistance? Talk to the experts at Roundhouse. We can help.